"It's sickening to the soul." Earlier this week, border police in China made a devastating discovery. Near the Vietnam border, police stopped a freight truck for a routine check. 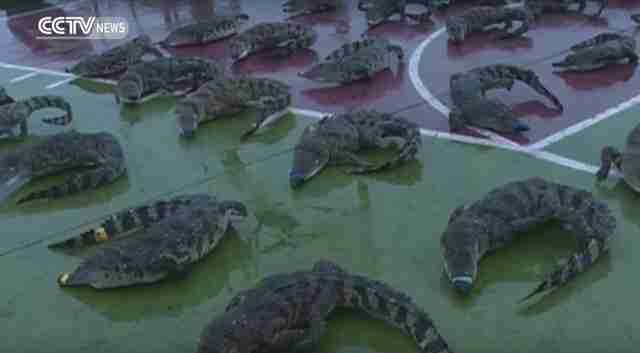 When they opened the back, they found the frozen bodies of 70 crocodiles, and an additional 88 crocodile tails - a total of 158 dead crocodiles. But these weren't just any kind of crocodile - they were Siamese crocodiles, one of the most critically endangered species in the world. A video shows police unpacking the animals' bodies from 16 foam boxes, lining them up on the ground. If they had reached their intended destination, the crocodiles' bodies probably would have been used to make handbags, wallets and shoes. "It's sickening to the soul," Gary Stokes, the Southeast Asia director of Sea Shepherd Conservation Society, told The Dodo. "Sadly, shipments such as these are a too-familiar sight." The border between China and Vietnam is a notorious location for smuggling animals into China, Stokes explained. Besides Siamese crocodiles, people have tried to bring in pangolins, elephant tusks and rhinoceros horns, even though doing so is technically illegal. 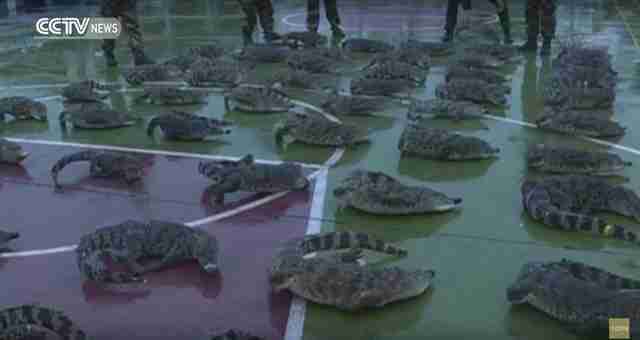 While it's unknown where the traffickers got the crocodiles, DJ Schubert, a wildlife biologist at the Animal Welfare Institute (AWI), believes they may have actually come from a farm - not the wild. 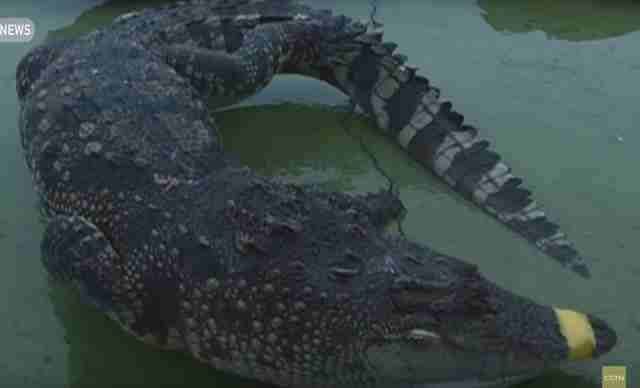 "The video doesn't provide clear footage of the crocodiles, but they all seem to be around the same size, and they don't seem to be too beat up, suggesting that they came from a captive breeding facility," Schubert told The Dodo. "It can be a difficult life in the wild, so oftentimes, their hides will get scarred with fights from other crocodiles." Even so, this kind of trade can be devastating to the species, Schubert said. "The problem with any captive breeding program, whether it's birds or anything else, is that it creates incentive for the product and the species, and that opens the door for individuals in criminal syndicates to traffic wild-caught specimens," Schubert explained. Another puzzling thing about this bust is how how some of the crocodiles' bodies are intact, while others have been reduced to their tails. 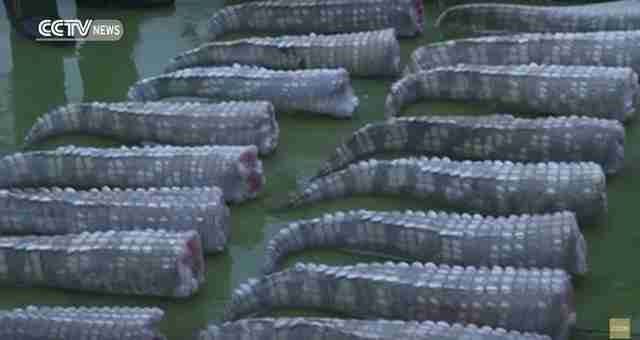 "I'm assuming that the people responsible for this illegal shipment were filling an order, and they were filling the order of multiple clients, and some wanted the full body and some wanted just the tail," Schubert said. 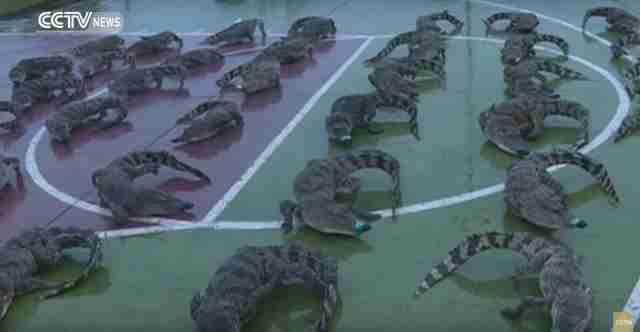 However these endangered crocodiles were "ordered," Schubert speculates that they have suffered immensely. Not only would they have had a miserable life at the captive breeding facilities, but they were probably killed in an inhumane way. "They might have used a freezing technique to kill them," Schubert said. While the issue of wildlife trafficking is huge, Stokes remains hopeful that things are changing, and will continue to change. "I'd say that the Chinese government is stepping up," he said. "It's very commendable, however this is just the tip of a very large iceberg." Besides policing borders for illegally trafficked animals, the Chinese government recently announced that it would close ivory factories by the end of 2017, which could help save elephants' lives. If you'd like to help animals rescued from the Asian wildlife trade, you can make a donation to Animals Asia or Wildlife Friends Foundation Thailand. You can also sign the Jane Goodall Institute's petition to help end wildlife trafficking.